Kenworthy was among several notable Olympians who turned down the White House. 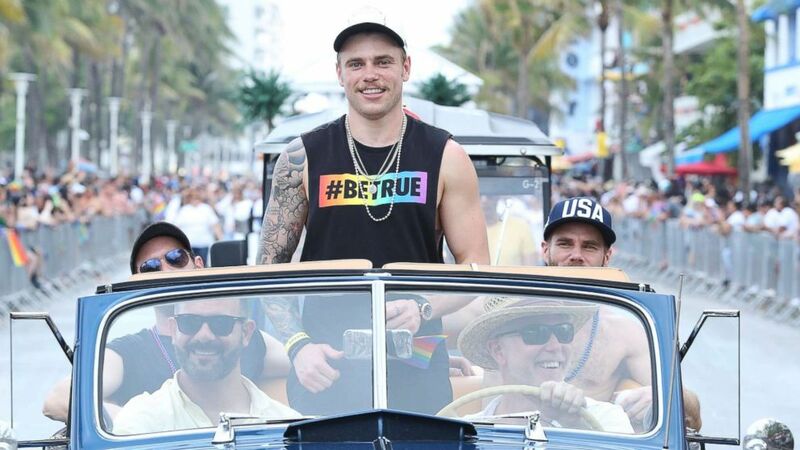 camera (Sean Drakes/Getty Images) Olympian Gus Kenworthy participates as Grand Marshal of the 10th Annual Miami Beach Gay Pride celebration on South Beach on April 08, 2018 in Miami. 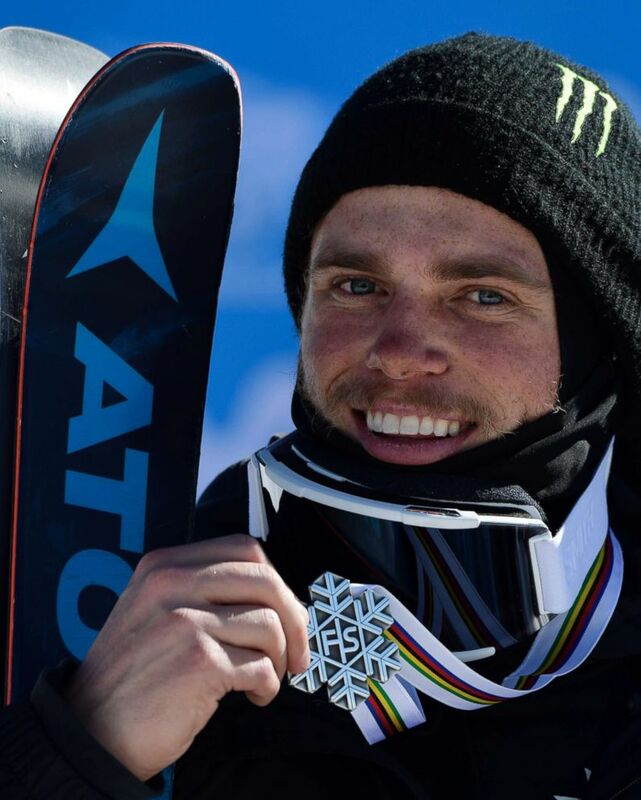 U.S. Olympic silver medalist and professional freestyle skier, Gus Kenworthy, is launching himself into partisan politics. The seven-time world champion first told ABC News that he will be a special guest at the Democratic National Committee’s LGBTQ gala in New York City this summer, after snubbing the president’s invitation to visit the White House Friday. “I couldn’t be more excited to join the DNC at their LGBTQ Gala this Pride season. Over the last year, the Trump-Pence administration has pushed our community to the sidelines, attacking us for who we are and who we love,” Kenworthy wrote to ABC News in a statement. “It’s time we take a stand against this administration by electing representatives this upcoming November who actively support and believe in equality for everyone,” he said. 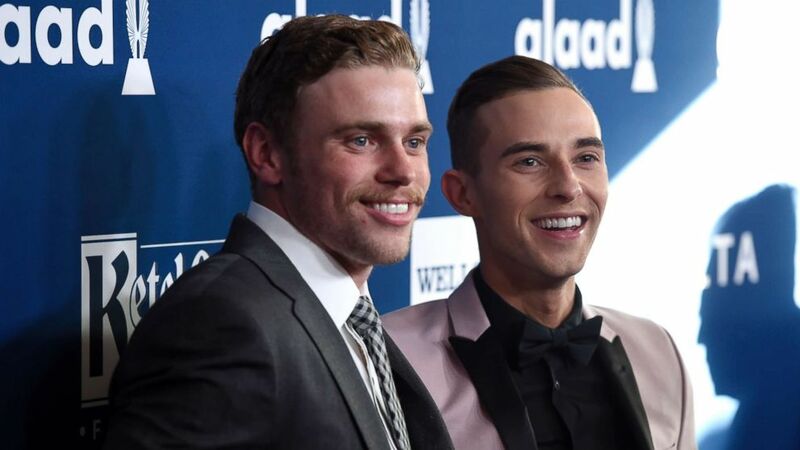 (Chris Pizzello/Invision/AP) Skier Gus Kenworthy and figure skater Adam Rippon arrive at the 29th annual GLAAD Media Awards at the Beverly Hilton Hotel on April 12, 2018, in Beverly Hills, Calif.
Kenworthy was one of several, top-name Winter Olympians, including Lindsey Vonn, Erin Hamlin, Adam Rippon and Chloe Kim, who either skipped or, in Kenworthy's case, actively protested the athletes' White House visit. The DNC's annual LGBTQ gala consistently has been one of the Democrats’ top-performing events, according to staff at the organization. Last year, Vice President Joe Biden was the keynote speaker. Donors and activists will likely be able to take pictures and greet Kenworthy at the 19th annual event on June 25. Kenworthy has been an active activist for gay rights. He was recently featured on the cover of Out Magazine and last month presented U.S. figure skater Rippon with the Human Rights Campaign’s Visibility Award. (Javier Soriano/AFP/Getty Images) Silver medal winner freestyler Gus Kenworthy celebrates on the podium of the men's SlopeStyle at the FIS Snowboard and Freestyle Ski World Championships 2017 in Sierra Nevada on March 19, 2017. “Freeskiing is such a macho sport that I felt like I couldn’t show my true self, but with every person that I told, I felt so liberated,” he said in the ad. “Gus has been a tireless advocate for his community, standing up to hate and a Trump-Pence administration that has repeatedly attacked and demeaned LGBTQ people,” DNC chair Tom Perez wrote to ABC News Friday. Perez applauded the election first openly transgender state legislator in 2017 and said LGBTQ candidates in Palm Springs, Seattle, Minneapolis and New York were breaking barriers. Kenworthy -- from Telluride, Colorado -- won a freestyle skiing Olympic silver medal in the men’s slopestyle event at the 2014 Sochi Winter Games. This year, he came up short and finished 12th.